Our bodies are made to birth. However, our current fast paced, media driven and often sedentary culture, can affect our abilities to be in an optimal position, both mentally and physically, to birth babies. These simple and easily applicable tips can help nourish you entirely, so that your birth unfolds smoothly. Pregnancy, to differing degrees, is often uncomfortable at times. But there are ways to make it more comfortable. There are no ways to stop all the peeing urges, for example, as your hormone levels have changed and baby will always be sitting on top of your bladder. But those muscle cramps, pelvic floor and core concerns, round ligament or pubic symphysis pain, for example, can be soothed. A great idea to aid your body, is to consider booking in a massage, chiropractic, acupuncture or craniosacral therapy appointment. There are no “right” treatments for all bodies – you know your body the best and what type of pressure or touch it resonates with. Note: Many body workers have crossover in their modalities. Any type of (experienced) touch and body therapy will help your body alignment, ease pain during pregnancy and also help prepare your muscles and ligaments for birth. Pelvic floor physio is an incredible idea too, as those muscles are clearly key for giving birth. Kegels are most people’s introduction into the world of pelvic floor exercises but they are often not the best for most bodies. A pelvic floor physio provides personalized exercises based on a physical assessment during pregnancy and postnatally. The evidence is clear that physical movement and exercise are amazing for both the pregnant person and their baby during pregnancy. It is also a phenomenal tool during birth. The more you practice ways to move, the more muscle memory kicks in and these postures will be intuitive on the big day. Plus, moving is proven to build strength and stamina, encourage positive moods and outlooks, neural growth and an ability to cope better with stress (all great things for birth preparation). The consensus is that any activity you were actively practicing pre-pregnancy is still good for you, if it continues to feel safe and healthy. For more sedentary bodies, introducing lower impact exercise is beneficial. Dancing, yoga, pilates, walking and swimming are great options, for most people, as they can be as low or high impact as you make it, have low injury risks and importantly, help strengthen and stretch muscles that will be used for birth. Another great aspect of moving, is that you need to be aware of your breathing when you move. As most people are aware, breathing is an asset during birth. While there is no right way to breathe, steady inhales and deep exhales call on the parasympathetic nervous system, which brings in a sense of calm, safety, and ease. For more information on breathing techniques, check out a prenatal yoga class, hypnobirthing class, or get in touch with a doula near you. Drawing on affirmations and visualizations. Examples may include printed out cards with words such as “Me and my baby are made to do this,” “Here comes a wave and I can ride it”, or your own unique words; positive images of beaches or blooming flowers, or listening to hypnobirth type tracks. Talking, writing, creating. Expressing ourselves through words out loud and on the page, and creating art, are powerful ways that we can tackle our personal stories, including our hopes and fears. Finding a supportive group or a quiet space in your home to regularly these tools, can help create a sense of peace and calm, that can translate into the birth experience. Just like our muscles, our brains respond well to regular exercise. Create birth preferences and not a hard cut plan. Life is a series of unpredictable pathways and birth is just the same. Creating a vision with preferences, rather than a set in stone plan, helps any unexpected turns feel more manageable. Being informed. Non-medicated and medicated support, positions for birth, peanut and birth balls, squat chairs…the list goes on. Knowing the various options allows you to have a tool kit and make informed decisions for yourself, which leads to higher birth satisfaction. Inform yourself by attending childbirth education classes, reading books and having discussions with doulas, health care providers, friends and family. Staying in a positive headspace. Our thoughts and feelings are very susceptible to the words and actions of the people we surround ourselves with and the media we consume. This sentiment is even more true during pregnancy and birth. Take note of the media you choose to intake and how it’s making you feel (this is not really the time to be binge watching horror movies or terrible birth videos). You may also want to place boundaries on the conversations you have with others. Find the right OB, midwife, or doctor for YOU and YOUR FAMILY. Explore your options by meeting a range of care providers before settling on one. Work with a Doula. 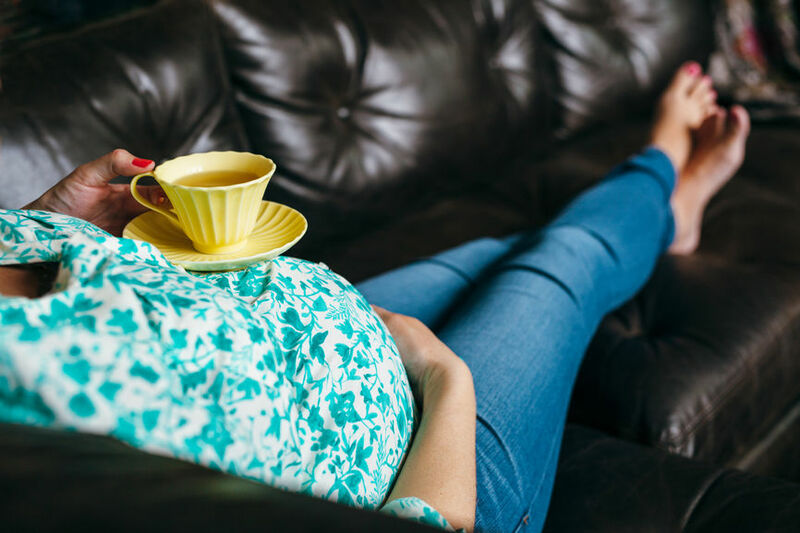 The evidence on doula care is clear – they help the birth process in a myriad of ways, through physical, emotional and informational support, during pregnancy, birth and postnatally. Get your partner or support person on board. Whoever will be supporting you during your birth, should be well informed of your birth preferences and the techniques that will guide you through your birth journey. Affirmations, physical support tools and visualizations, will all be better applied, if your support person feels confident with them themselves. Use hydrotherapy (bath or shower), massage, acupressure, TENS machines and the rebozo. These techniques have been shown to not only increase comfort during birth, but also help reduce length of labour. Most of these techniques encourage more relaxation, a release of endorphins and helps to increase oxytocin release. Plan a birth playlist. It’s well known that music has the ability to boost our moods, that familiar songs have a deep neural/memory connection and that music can encourage us to move and release oxytocin. Stuck for ideas? Check out the many birth playlists on Spotify that have already been created. Pack your birth snack bag. Keeping hydrated and nourished during birth is important to keep you going – you’re taking part in the ultimate marathon after all. However it unfolds, birth is beautiful. Getting your mind and body prepped is an important way to make sure that your journey unfolds in just the right way for you.